You may have seen Coeur d'Alene singer-songwriter Ron Greene out and about at many restaurants and live music spaces across the region, including Arbor Crest Wine Cellars, playing a mix of covers and his own tunes. But tonight, the artist releases a new album, In Honor Of A Critic, full of his own original works at the Bartlett. Openers include Shelby McKinnon and Justin Brache. The show starts at 8 pm and is $10 at the door. 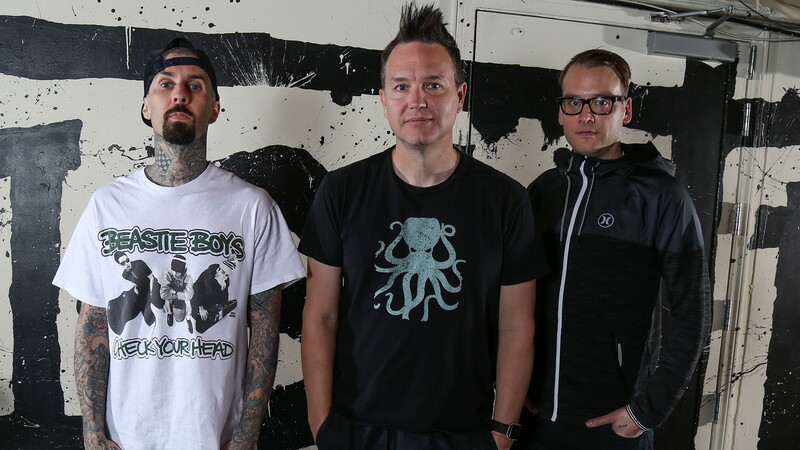 Blink-182's new lineup now includes Alkaline Trio guitarist/vocalist Matt Skiba. “All the Small Things,” “The Rock Show” and “What’s My Age Again?,” has returned to the spotlight with a new record aptly called California, which went No. 1 when it was released in July. They'll play the Spokane Arena tonight showing off their new lineup, along with other emo/punk acts A Day to Remember and All-American Rejects. The show starts at 7 pm and tickets start at $25. While the trio is sure to play the hits, their new stuff will certainly be on display as well (see below). Head to Spokane's West Central neighborhood Saturday afternoon to hear 20 musicians and poets perform on 17 various porches, all you have to do is walk around to hear a new sound. That's right, PorchFest is back to help promote community building in the economically diverse neighborhood. The performances are all free and run from 3-7pm. “We’re gonna need a big space,” thought local pop auteur Nick Swoboda after his little sister asked him to perform at her Sweet 16 celebration, reports Connor Dinnison. She’ll get her wish: the Knitting Factory will host Emma’s Birthday Bash this Saturday, featuring a headline performance by her brother along with many others. Swoboda’s intricately crafted, genre-bending productions, nimble wordplay and confidence behind the mic are the results of hard work; he writes, produces, engineers, records and runs a mixing/mastering service out of his home studio, even doing audio/visual work on commercials for clients like STCU. The show starts at 8 pm and is $10 at the door. Also, the Spokane Symphony kicks off its season this Saturday with its first classics concert.